The Golden State Warriors defeated the Cleveland Cavaliers, 124-114, in an overtime thriller on Thursday night in Game 1 of the NBA Finals. While the game was ultimately settled in overtime, JR Smith’s mental error in the final seconds of regulation cost Cleveland a chance of stealing the game. After the game, Draymond Green called Smith out for his mistake. 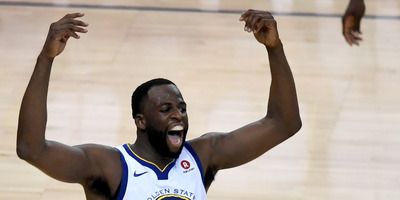 The Golden State Warriors defeated the Cleveland Cavaliers 124-114 in an overtime thriller on Thursday night to win Game 1 of the NBA Finals. While the game was ultimately decided in overtime, the turning point of the game happened in the final seconds of regulation. With just seconds left on the clock, the Cavaliers had George Hill shooting free throws that could have won the game. After a miss on his second shot, JR Smith gathered the rebound and took the ball out, seemingly unaware that the score was still tied. The Cavaliers would settle for a desperate shot that missed, and head to overtime, where they would fall to the Warriors. After the game, Draymond Green served what felt like harsh words for Green, who was seemingly unaware of the situation at the time. Unfortunately for the Cavaliers, Smith was mistaken. The game would go to overtime, where the Warriors would dominate for five minutes and ultimately earn a 1-0 series lead heading into Game 2 of the NBA Finals.